Choosing the best scope for elk hunting is a lot like choosing your girlfriend or wife; it’s mostly subjective, but there are a number of objective aspects that make one a better fit than another. Elk hunting tends to present some very particular environmental and skill level challenges that might not be encountered in all hunting situations. Choosing a scope that minimizes the effects of both of those challenges will add to your success. Whether you are whether your hunting with a 300 blackout rifle with a scope or completely new to elk hunting, this article will help you finding the right scope for your hunt. 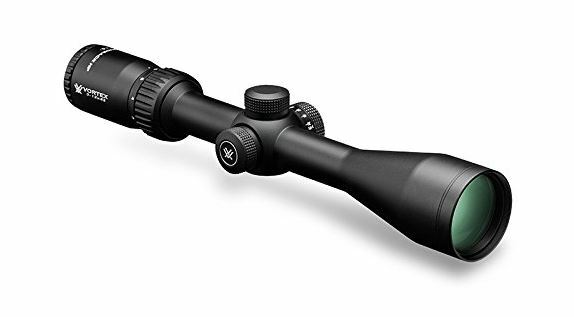 We are going to take a look at seven scopes that work well for elk hunting in this review. We’ll discuss some of their highlights and features, pros and cons and who will be happiest using each particular model. In addition, we also add some general, objective tips for choosing an elk hunting rifle as well as the benefits gained by having the best one. So, let’s get started by taking a closer look at the first scope in the group. The reputation of the Nikon Buckmasters series scopes are certainly at the top of the list. The crispness, contrast and clarity of this scope, along with the technological advancements in this upgrade, uphold that reputation. Besides what has already been covered concerning the transmittance and BDC reticle, the field of view on this scope is pretty generous as well. It’s not too bulky, is parallax free and has fully coated lenses and nitrogen purges to make it fogproof and waterproof. The ¼ MOA increments make it easy to sight in and this scope has the durability to hold its accuracy over the long-term. The eye relief on this scope is a little bit short, which can cause problems with those who wear glasses or goggles when they hunt. The scope mounting has some issues to work through, beginning with the fact that rings are not provided with the scope and it has to be mounted a little higher than most scopes due to the larger objective lens diameter. • The BDC reticle is designed to work with Nikon’s Spot On Ballistic Match Technology. • You can still see your target as you aim with the open circle range compensation markers. • 40 mm objective lens lets in more light. • Warranty and replacement program is best in its class. • Short eye relief can be a problem for those who wear glasses of goggles when hunting. • Non-illuminated reticle is a drawback to some hunters. • No mounting rings are included with scope and the wider diameter objective lens requires a higher mounting profile. The majority of elk hunters will be happy using this scope due to its durability and targeting features. Don’t let the affordability of this scope cause you to think it’s in a lower class. The Leupold VX-1 remains at the top of the charts for all-purpose big game hunting and performs well for a variety of hunters. This is a mid-range priced optic that performs like a premium one. It is compact to keep down bulkiness while you’re hunting over challenging terrain and it is durable. The field of view on this scope is also pretty generous and it provides good eye clearance. Being easy to mount and sight in are certainly an added bonus to a scope which is fogproof, waterproof and shockproof. Some elk hunters might feel like the reticle is a little bit too simple since it doesn’t provide for any complex ballistic sighting. There are no parallax adjustments on this scope, which is a drawback to some hunters as well. • Environmentally friendly glass in the optics. • Affordable without sacrificing quality. • No complex ballistics technology in the reticle. • Factory set parallax rather than adjustable focus. A broad variety of elk hunters who prefer simplicity and compact design in a premium quality scope, but who are on a budget will be happy with this scope. The VX-1 series optics already place this scope at the top of the class and the added light transmittance of the wider diameter objective lens on this scope give it a little extra boost among elk hunters as well. The light transmittance qualities of the wider objective lens on this scope can’t be discounted, especially given the fact that elk hunters often find themselves in low-light situations. The clean simplicity of the optics and the sighting reticle in this compact sized scope are certainly pluses when hunting in challenging terrain. When placing a scope with a wider diameter objective lens on a rifle, the mounting tends to have a higher profile, which can be an issue in rugged terrain. In addition, its lack of complex ballistics options on the reticle is a drawback to some hunters who prefer a bit more precision. • Environmentally friendly glass utilized in the QOS optics. • Higher light transmittance for greater target clarity. • Higher mounting can be a problem in rough terrain. Elk hunters who like to put more than just a little light on the subject will be well pleased with the features this scope has to offer. Vortex Optics has been making a name for themselves in hunting circles and has the quality and technology to compete at the top of its class. This Vortex Optics Diamondback is already making waves among big game hunters. This is a no-nonsense scope with plenty of clarity and brightness, which makes for good target contrast in low-light situations. Its Dead-Hold BDC reticle does supply the shooter with more complex ballistic information in relation to the target. In addition, this scope has adjustable turrets which can be reset to zero after sighting in the rifle. The clarity and brightness of this scope is certainly a plus for elk hunters. Because elk hunting tends to take place in more rugged terrain, the adjustable turrets and easy finger-tip MOA also draw attention. The side parallax adjustment is an added necessity for a scope with a magnification power above 10X. The field of view on this scope is pretty limited, being the narrowest of the group under review. It’s a bit heavier than most of the other scopes. Where adjustable turrets can be helpful, if they have tracking issues, they become a drawback. In addition, unless you are an expert long-range marksman, there is no point in taking a shot which requires magnification beyond 9X when elk hunting. • Provides decent eye relief, even for hunters who wear glasses or goggles. • Brightness, clarity and more complex ballistic options. • Easy mounting and sighting with fingertip MOA adjustment. • Field of view on this scope is extremely limited. • The magnifications above 9X are entirely unnecessary for elk hunting. • There is the potential for turret tracking issues. This scope works well for those who want to get a good look at their prey from a distance with the higher magnification and certainly provides clarity and ballistic information. This scope works well for those who are hunting in thicker brush or wooded areas where getting an accurate shot needs to happen pretty quickly in order to be successful. 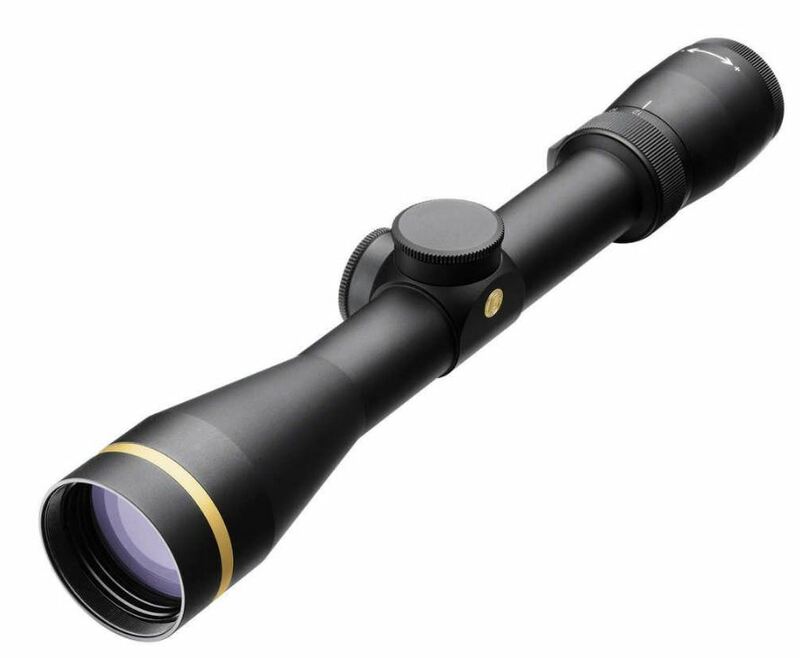 Among the best scopes for patrolling is the Leupold113771 VX-R Patrol Scope. It might seem that a patrol scope doesn’t fit this category, but if you consider that some elk hunting situations are very similar to patrolling situations, it’s worth consideration. The FireDot tactical milling reticle (TMR) is the main highlight to consider with this scope. Daylight illumination capabilities of this scope and the extremely accurate milling give you a great deal more precision and ballistic information for making a quick and accurate shot after target acquisition. Besides the TMR feature on this scope, there are some other qualities that make it a solid selection. The field of view on this scope is fairly generous on both the higher and lower magnitudes. It’s neither bulky nor heavy and can be attached to your rifle utilizing integral mounting systems (IMS), which is as solid and stable as any mounting available. The thickness of the reticle is a little overdone, which can cause some issues with accuracy at longer ranges. It does not have instant reset to zero, which other models of its class tend to have. The brightness of the illumination might take some getting used to. • Great mounting system that is durable in rough terrain. • Excellent ballistic and tactical information for quick and accurate target acquisition at short range. • Provides a generous field of view. • Thickness of the reticle might hamper long range accuracy. • The brightness of the illumination might not be ideal for some users. When it comes to taking longer range shots, the Carl Zeiss Conquest 3-12x56mm is a scope that stands out among the leaders. The most obvious highlight for this scope is its 56mm objective lens, which goes well past the others in this group for light transmittance. The next feature that is likely to catch your eye is the 12X magnification option, which allows you to get a cleaner sight on your target at a longer range. You certainly can’t argue concerning the quality and clarity of this optic given its light transmittance capabilities. The #8 reticle on this scope is well set up for accuracy at long range, giving you excellent ballistic information for a more precise shot. 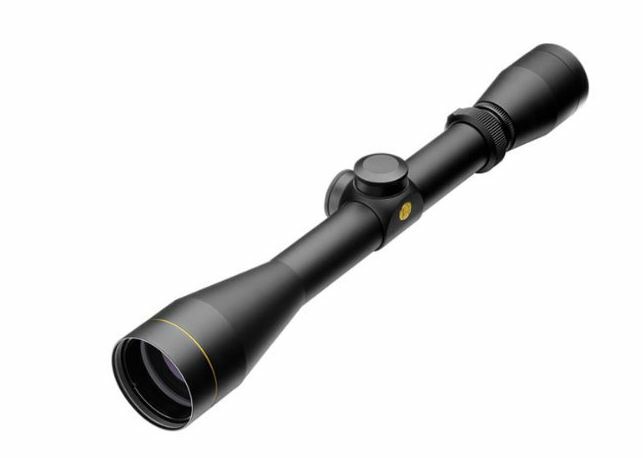 This is a high quality, durable scope that will perform well for an elk hunter. The factory preset of the parallax on a rifle over 10X magnification is not a good idea and the absence of that adjustment is lacking on this scope. The vast majority of elk hunters shouldn’t be making shots that require anything above 9X magnification in the first place. The field of view is pretty limited on this scope as well. In addition, this thing is heavy and bulky and the large objective lens will require it to be a high mount on your rifle. • Excellent light transmittance on this scope. • High quality lenses provide solid clarity and magnification. • Very good complex ballistics in the #8 reticle. • Accurate targeting at longer range. • Parallax is factory preset, needs to be adjustable. • Very limited field of view. • This scope is heavy and bulky. This scope is well suited for someone who wants to acquire a target at long range in a low-light situation and has plenty of time to take the shot. 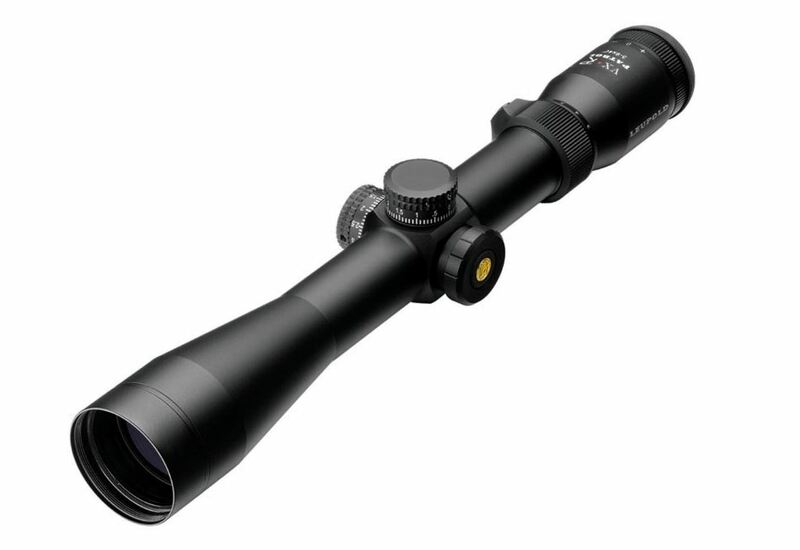 For scopes under $2000, the Leupold VX-6 2-12x42mm is at the top of its class and even reaches into the class above it. The field of view, magnification options and clarity are all highlights of this scope. The field of view on this scope is about as generous as they come at 57.2 feet @ 100 yards on the lowest magnification. The 2-12X magnification options on this scope extends its range and utility for all purpose hunting with the clarity of high quality optics. Elk hunters can’t deny the importance of field of view and this scope provides a decent FOV at all magnifications. The higher magnification option is nice for those who really know what they’re doing. The clarity of the lead and arsenic free lenses on this scope are of a quality that defies the price of this unit and the LR duplex reticle is simple and non-cluttered. The parallax adjustment or focus adjustment on this unit isn’t as critical at the lower magnifications, but it is a necessity at the magnifications above 9X. This scope is a little heavier than many of the others in this group and slightly more bulky. Those who prefer more complex ballistic information might not be happy with this scope. • Excellent FOV at all magnifications on this scope. • Clarity and light transmittance is premium level. • Side focus adjustment is a must on this scope and is provided. • Has a simple, non-cluttered reticle for making an accurate shot at short or long range. • This scope is a little heavier than many in this group. • No complex ballistic information is included in this scope’s reticle. This is as good as you’re going to get in an all-around elk hunting scope which works as well for a novice as it does for an expert. What should I look for in an elk hunting scope? Finding the right elk hunting scope has a lot to do with personal preference and how it works for you and the conditions in which you tend to hunt. The same can be true whether your looking for the best scope for hog hunting or a great scope for hunting coyote. Here are some basic characteristics to consider as you make your selection. • Recoilproof. Because high recoil is typical with higher caliber rifles, your scope needs to hold up well under recoil without losing accuracy. • Shockproof. Elk hunting often takes place in some pretty rugged terrain where falling or bumping your rifle on rocks and trees is apt to occur. • Waterproof. Wet weather is very often associated with elk hunting. • Fogproof. Cold temperatures and a warm body tends to produce fog, so having a fogproof scope is an essential. Parallax creates an optical illusion inside your scope and significantly reduces accuracy. A parallax free scope is a must. Keep in mind that factory set parallax @ 100 to 150 yards is adequate in scopes with a magnification under 9X, but it is a necessity to be able to adjust parallax with higher magnifications, especially when higher magnifications are often being used to make shots at 350 yards and beyond. • Lens coating helps to prevent flare and keeps the image clear. • Lens quality has to do with the quality of the material used as well as the precision with which it is ground. Higher quality lenses tend to add a great deal to clarity, but also to price. • Objective lens size has an effect on how much light is allowed into the optic, or transmittance. Greater light transmittance tends to add to the overall quality of the sight picture you see and is most noticeable in low-light situations. 40mm to 42mm tend to be better because you are able to mount your scope closer to your rifle and reduce bulkiness. The right magnification for an elk hunting rifle scope is a bit more objective than the other characteristics we listed. There are advantages and disadvantages of various levels of magnifications, let’s take a closer look at those for three different magnification ranges. 2-7X Magnifications In general, the vast majority of hunters should be taking shots at under 300 yards. For accessing targets at that distance, a 2-7X magnification is more than adequate. Parallax, especially factory set parallax, is not typically an issue in this magnification range. In addition, these lower magnifications give you a much wider field of vision (FOV). 7-9X Magnifications Shooting over 300 yards will require a higher magnification for a more accurate shot placement. At that range, FOV is greatly decreased and obtaining a rapid sight picture is much more difficult. Most elk hunters like this range for being able to scout, but rarely use it for actual target acquisition. 9-12X Magnifications The main difficulty that arises with this range of magnification is related to parallax. At this magnification, your 100 to 150 yard factory settings are not going to work well, so you will need manual parallax or focus adjustment. In addition, these scopes, outside of scouting, take a great deal of expertise to utilize properly if you are taking a shot at 350 yards and beyond. Outside of scouting, 99% of elk hunters have no business using this level of magnification for targeting an animal. What are the benefits of using the best elk hunting scope? The major benefits of using the best elk hunting scope for your rifle include scouting your game, proper shot placement and safety. Scouting elk when you have open sights or your rifle requires that you carry binoculars or some other form of magnification. Having that magnification attached to the top of your rifle is certainly a benefit over carrying additional equipment. Proper shot placement is important because better shot placement increases the chances of making a humane kill. Though elk hunters may be portrayed in some circles as being blood thirsty barbarians, the truth is that they respect and appreciate the animals and do not desire to cause unnecessary pain and suffering. Safety is related to proper shot placement, in that the likelihood of wounding an animal is greatly decreased. The reason this is important is that a wounded animal is a dangerous animal. In addition to this form of safety, is the ability to better see what lies beyond your target and might be harmed by a missed shot. As promised, we’ve discussed the benefits of having the best elk hunting scope on your rifle. We’ve also taken a closer look at some of the general characteristics that should be considered when selecting the best scope for your elk hunting rifle in our buyer’s guide. The seven scopes we reviewed all have various positives and negatives that make them good, better or best when it comes to elk hunting. 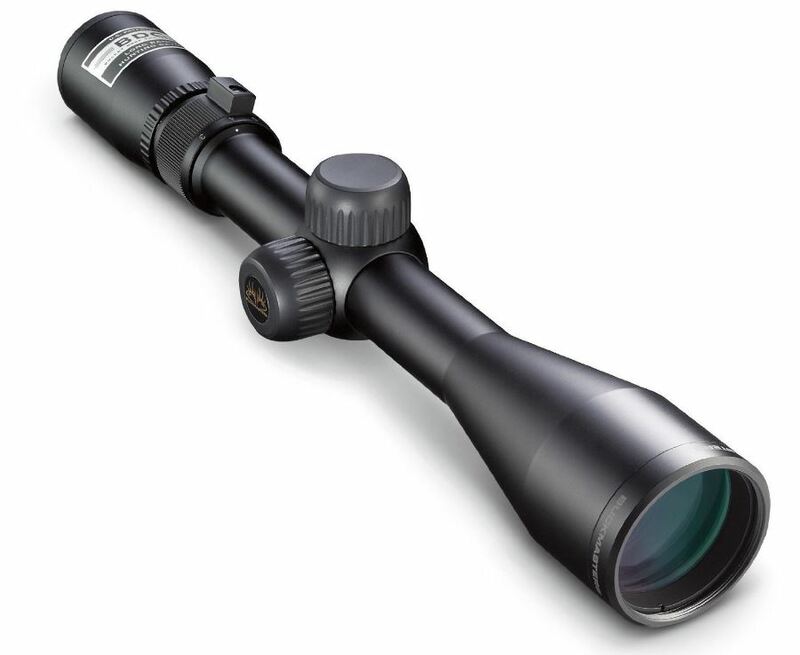 Though we have leaned toward a certain scope, the Leupold VX-6 2-12x42mm, as being the best in this group of seven, there are those who prefer various other features and options over those which are included in this scope. The scope you choose, will include various subjective elements related to environment, your personal skill level, budget and various other aspects. What we do hope to have accomplished is to assist you in comparing and prioritizing your personal preference to select the best elk hunting scope for you.